If you’ve been skipping weights in favor of an all-cardio workout, it might be time to rethink your fitness strategy. 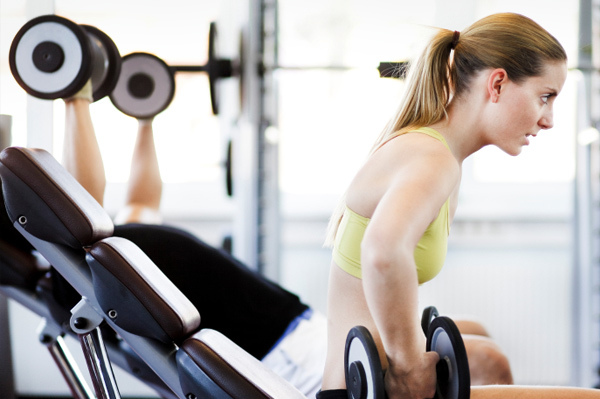 Women especially can benefit from resistance training. From bone health to higher metabolism, there are myriad reasons to start strength training today. We asked Lisa Wheeler, fitness program director for DailyBurn, a leading online fitness destination, why it’s so important for women to get into the weight room and how to get started. 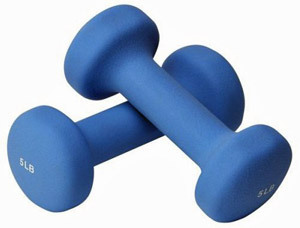 Stave off osteoporosis and maintain strong bones with weight-bearing exercise. “Bone is living tissue, which is constantly being absorbed and replaced,” explains Wheeler. According to the Mayo Clinic, osteoporosis occurs when the creation of new bone doesn’t keep up with the removal of old bone, causing loss of bone density over time. While this can affect men and women, post-menopausal women have the highest risk, meaning it’s time to start resistance training if you haven’t already. “Diet, dietary supplements and exercise, especially weight-bearing exercise, can help stop or slow down the loss of bone density and build strong bones,” says Wheeler. Even if you have yet to embrace resistance training, it’s not too late. “Women are never too old or too young to start incorporating weight-bearing exercise into their lifestyle,” says Wheeler. She cites a study published in the Journal of Women and Aging, where researchers found that 23 women who completed a resistance training program three or four days per week reported improved quality of life across all ages. Lift things: Lifting dumbbells, using resistance bands or simply lifting the grocery bags stimulates the formation of bone, says Wheeler. So any exercise that places force on a bone will strengthen that particular bone. She recommends two to three times a week for this type of total body resistance training. Move your own body: You don’t always have to use weights to get the body benefits of resistance training. Using your own body weight is a great way to strengthen bone and build lean muscle. “Stair climbing with a little extra weight in a backpack, push-ups, pull-ups, single-leg squats, lunges and bridging when performed with enough focus and intensity will stimulate the process,” Wheeler says.